When my Grandchildren come over we love to play “hide and seek”. There is something delightful about having someone looking for you, isn’t there? There’s a sense of anticipation during the search, and the screams of laughter when someone gets found. As we read through every book in the Bible, here on Day 25 we find ourselves in Jeremiah: “For I know the plans I have for you,” declares the Lord, “plans to prosper you and not to harm you, plans to give you hope and a future. Then you will call on me and come and pray to me, and I will listen to you. You will seek me and find me when you seek me with all your heart. (Jeremiah 29:11-13 NIV). If you read through Jeremiah you might understand why his congregations wanted to throw him in a pit! His preaching was full of doom, gloom and disaster. But in the midst of his dire warnings about the coming judgment there is this comforting promise in 29:11, which speaks of hope and restoration. 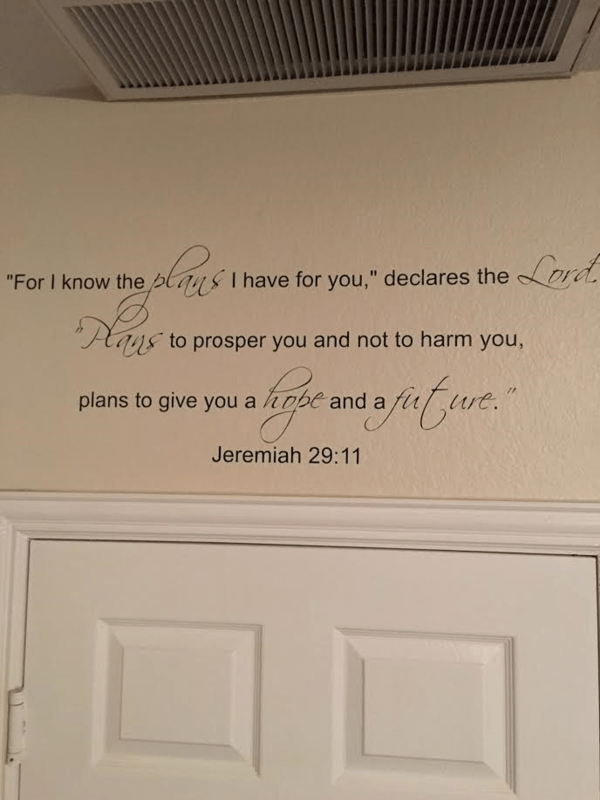 I have seen this verse quoted many times, and in fact it is displayed on a wall above the door to our garage, so we see it every time we go out. Not feeling as close to God as you’d like? Seek Him. Call upon His name. Pray earnestly to the Lord. Don’t be half-hearted in your search. And what, pray tell, does he say will happen if you seek Him with your whole heart? You will find Him: BOOM! Ever feel that’s God’s not real, or He is far away? Does it seem your words don’t matter, sometimes, when you pray? If you seek me, you will find that I’m the God of hope! Come to me in faith, and look for me with all your heart! This entry was posted in Daily Devotions, Poetry, Thought for the day and tagged Bible, Daily Wisdom, Devotional, inspiration, Jeremiah 29:11, observation, seek, seek the Lord, spiritual by admin. Bookmark the permalink.